If you’re a high-ticket coach, you really shouldn’t DIY your own Facebook Ads. Surprising, I know, but I’ve got three solid reasons why. Now, I get it. I talk to a lot of coaches who say, “Oh, I just want to learn a bit about how they work.” Or, “I just want to get to understand them.” And that’s fine. It’s good to have a baseline understanding of what’s going on, after all. However, if you’re trying to scale your business and see significant growth, now is not the time to learn the ins and outs of the Ads Manager and all the different metrics in there. In fact, it can be a complete waste of your time. I recommend you do something else, and here’s why. Any training you’ve purchased is likely to be outdated at this point. The Facebook advertising platform is constantly shifting, and what worked two years, a year, even six months ago, will not work today. If you bought or invested into a significant coaching program previously, chances are that you aren’t getting the most up-to-date strategies. 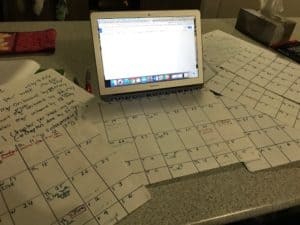 In fact, you’re probably being taught strategies that worked really well a couple of years ago, in the heyday of high-ticket coaching funnels and any other funnel that involved a webinar. Registrations came cheap and sales converted like crazy. Today, though, the audience is a lot more savvy. They’ve seen all the webinar ads. They’ve seen all the static images promoting a free training, and they all know there will be a pitch at the end. So, these strategies that are teaching you to do cold traffic to webinar, and to skip the part where you build an audience, are flat out wrong. There’s a difference between the boot-strapping entrepreneur who must do everything alone to keep costs down, and the established high-ticket coach whose time has real value. I challenge you to recognize what your time is worth. Because every minute you aren’t spending effectively generating leads and serving the clients you already have is time wasted and revenue left on the table. What is your hourly rate? Will spending hours loading up campaigns, getting frustrated, maneuvering glitches, finding work-arounds, and then trying to interpret the results be worth the cost of your hourly rate? If you’re a high-ticket coach, the answer most likely is no. It makes more sense to hire an expert (at a cost lower than you would otherwise be earning) and go back to what you do best. When you are off learning the Ads Manager and trying to sort it all out, who will be serving your clients with excellence? Who will be writing the content and developing the programs that meet their needs? If you are trying to all of a sudden become a Facebook Ads ninja, that’s taking you away from your zone of genius. It’s blocking you from being able to serve your clients, and it’s preventing your audience from finding you as well. At this point in your career, it’s your job to be present and available… and you can’t do that if you’re buried in the Ads Manager. There’s nothing inherently wrong with Facebook Ads. If Facebook Ads are an essential part of your plans to build your revenue, then it’s best to hand the task off to a specialist. In doing so, you allow yourself the freedom to work in your zone of genius, save yourself time and mental energy, and provide someone else the chance to work in their own zone of genius as well. It’s true that Facebook Ads can be incredibly effective for building yourself an audience. After all, it’s your audience — and not the cold traffic — that are most likely to convert. Your audience is the people who already know, like, and trust you. You are the one they want to hear when they book a call, and they know you are the person to help them overcome the problem they’ve been trying to overcome for, maybe, years. 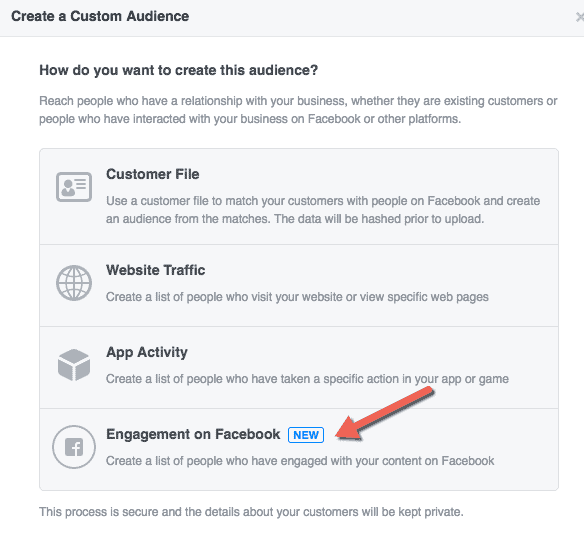 You can certainly build an audience using Facebook, but it’s only the beginning — the pre-targeting. Your primary task should be building your audience and keeping it warm, so that when you do invite them to your next offer (whether it’s a training, a free download, or something else), they will be ready to join you. Facebook Ads have a place in the equation, but if you’re a high-ticket coach looking to scale, you shouldn’t be the one setting them up. Leave that to an expert, and focus on showing up with excellence for your clients. 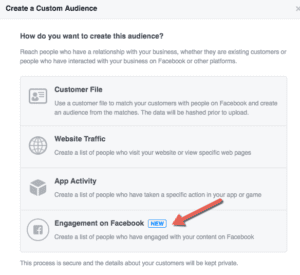 Are you following the rules when playing in Facebook’s sandbox? If you’re not, you could end up in a lot of trouble and lose access to the biggest platform to market your business. In this post we’re going to look at what you need to do to make sure that your presence on Facebook is maintained because at the time of writing this, there’s been ad accounts getting shut down, as well as personal profiles being removed off of the face of the Earth. Now, good news is these people had their personal profiles restored – eventually, but it’s a bit of a stressful time, especially if you’re relying on Facebook to build your business. So let’s look at what you need to do to make sure that you stay compliant with Facebook Terms so that you have a long and happy life on Facebook. – No Business Promotion on your Personal Profile. So if you have been promoting your business on your personal profile that is against Facebook terms. If you do have accumulated a lot of friends on your personal profile with by having a strategic attraction marketing strategy so that you’ve connected with your ideal clients, you can convert your Profile to a Page. Otherwise, if you want to play it safe, remove anything you’ve posted on your Profile about your business. However in the about section where you can enter where you work, it’s fine to connect to your Business Page here. So Personal Profiles are not for business promotion. One is that there’s some security hacking at play which is always an an ongoing issue. People’s accounts get hacked and the offender will take on the person’s identity, get into their group, or into their page, take ownership of it and the victim of the attack is locked out of their Facebook assets. 3. Add a trusted person as Admin on your Facebook Assets. I’m sure we all know someone who’s had the Facebook Account hacked. Their account gets hacked and the offender will take on the person’s identity, get into their group, or into their page, take ownership of it and the victim of the attack is locked out of their Facebook assets. By adding someone you trust as Admin of your Page or Group, if your account is compromised, if you do lose your profile, you can still get access to your page and in your groups as well. Timely reminder to update your passwords. Make sure you have a secure password and make sure whoever has access to your pages or groups also has a secure password. A great tool that I use for passwords is LastPass. You have 1 master password to access your Vault of all your passwords and it can autofill on your login pages. That way you can avoid having the one password for everything you login into (danger!). Also you can securely share login details to other team members without them seeing your password. While it’s great to be on one platform, learn it and crush it, it just makes business sense to not have all your eggs in one Facebook basket. Which is one of the reasons that I had created The Visibility Code so that you can 30x your digital footprint and build a much wider audience. By focusing on one marketing strategy to support your whole business, it’s like a tree with no root system, which will come crashing down at the first storm. While Facebook does make a lot of people a millions of dollars and create a lot of social influence for a lot of people, you really need to diversify your risk. Have you been staring at that LIVE button on your Facebook Page for what feels like forever, knowing you ought to start using Live video in your marketing strategy, but you just keep putting it off week after week? Well, today I’m going to give you three reasons why you need to go Live on your Facebook Page so you can increase your visibility and attract your ideal clients. You see, there’s people that need to know you, that need to hear your message and need to come to you for your help to overcome the situation they’ve been battling with for so long. One important aspect of going Live on Facebook is to let people know that you will be going Live – which when using Belive.tv, you can schedule your Live which will then post the video to your page with an option for people to get a reminder for when you go Live. You can also copy the URL for the live and email you list so they can join you at the right time. You can also then share the post to other pages or groups that you own. A little while ago I was talking to someone who had bought some TV air time. They had access to a studio for a couple of hours and would go Live to air to 30 minutes or an hour and to do this required a significant chunk of cash. While there’s no doubt TV is a powerful medium, it has major limitations. Can you control how many people will see your Show? Are they really your ideal client? What about after the show – how can you stay front and center of mind with those who did watch? If you ask me, this is a one and done marketing strategy that gives you no opportunity to build a relationship with your audience. If you have a smartphone, you have a TV station in your hand and let me tell you, it is much more powerful than the the traditional TV. You can broadcast for free as often as you want. Invest from just $1 a day to continue to promote your broadcast to your IDEAL target audience and then capture that audience whether they’ve watched 3 seconds or 100% of your broadcast and deliver your next piece of content to them. If your audience doesn’t engage with one of your broadcasts – no biggie – you haven’t spent thousands figuring it out! To really hit home the importance of going Live on Facebook, as opposed to just uploading a video, is that Live Broadcasts get three times more viewing numbers. People are 10 times more likely to engage with a Live broadcast, than an uploaded video and watch longer. This engagement tells Facebook that people like the video and so it continues to distribute your Live long after your ended the broadcast. Also, there’s something about a Live broadcast that helps to accelerate the relationship between you and your audience. It’s raw. It’s real. It gives glimpses of the real you – not the staged, produced and perfected persona. We see your mannerisms, hear the inflections in your voice, so that when we read your emails, blog posts or static posts, we hear your voice in our head. We see your face in our mind’s eye. Connection is made and rapport is getting built in ways that just aren’t possible with static image posts. When you go live, your ideal client is getting to know more about you and you are earning their trust. So if you have a message that you want to get out to the world, to go from unknown to the authority in your niche, you need to broadcast Live on Facebook. If you have been nervous about it, there are some ways that you can start getting familiar with it. The first way is just to get out your personal TV Studio… your smartphone… and start practicing by recording video of yourself talking to the camera. Practice, watch the recordings and give yourself constructive criticism on how you can improve. Don’t be too harsh or critical on yourself. Then when you’re ready to start broadcasting Live, there is the feature that allows you just just broadcast to yourself – this is on your Personal Profile. You can select your audience to be “Only Me”. This feature not available on your Business Page, so if you want a couple of practice runs to see what actually happens when you tap the Live button, this is how you do it. Otherwise, be sure to go Live on your Business Page – so you can capture the viewing audience as mentioned above. So this is a good way to test your wifi and to discover any areas where your connection drops out – because trust me… it’s no fun when you’re Live to the world and your internet breaks! Maybe another reason you’ve been stalling on going Live is that you’re afraid of going Live and you get zero viewers. Let me reassure you – that will happen. The typical length of live viewing is around 30 seconds or a minute. People will pop in and pop out – and that’s OK, your audience will continue to build long after you’ve ended the broadcast. So don’t be afraid of low viewing numbers. Finally, as I mentioned earlier, be sure to broadcast Live from your Business Page. Now I know a lot of people go live from their Personal Profile because that’s where they get more engagement. They don’t get any engagement on their Business Page. Now, while you can use your personal profile now and then, it’s very important to do your promotions from your Business Page. One reason being that it is actually against Facebook Terms to promote your business on your Facebook Profile (yes, I know everybody does it, but it IS specified in FB Terms not to) and secondly, by broadcasting Live on your Business Page you can build an audience of people who have viewed your videos that you can then retarget to continue the customer journey. Now I know boosted posts have had a lot of negative feedback over the years, but the features have improved greatly over the years. After you have ended your broadcast, you can just hit the boost button on your phone. 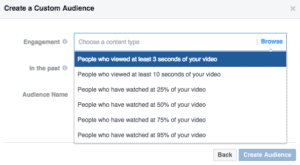 If you have custom audiences already created, then you can select these audiences to boost your Live video to. If not, there is still a number of targeting options you can select. Investing at least $1 a day you can start building a targeted audience to be seen and known by your ideal client. 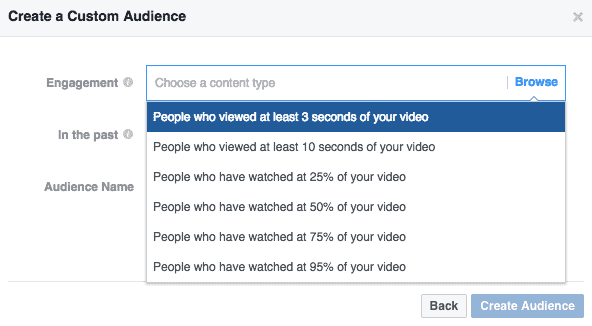 So here’s a Ninja Facebook Hack for you to increase the percentage watched of your Broadcast. After you have Boosted your post (or created an Ad in Ads Manager if you prefer) go into ads manager and to the ad set level. Then go to the ‘edit placements’ section and make sure that Suggested Videos is selected. This placement typically sees a 3x increase in percentage of video watched. This is a very high intent audience – they watch nearly all of your video – they are engaged. They’re interested in your message. They want to know what you have to say. Then that comes into our third point of getting from unknown to authority with facebook is retargeting. While people want to get on TV or get in the media, there is no way for them to know who saw the tv show or read your article in the media. But with Facebook, when people have watched your video, you can get back in front of them – it’s incredibly powerful. You can create videos or a retargeting audience of people who have watched 3 seconds of your video or 10 seconds of your video, but obviously that higher intent audience, those people that have watched 25 to 95 percent of your video is a really your warm audience that you’re wanting to take on the next stage of your customer journey. To get more visible on Facebook, to go from being unknown to an authority in your niche you need to be visible and newsfeeds are so busy these days those static images for sponsored posts just don’t stand out. When you go live Facebook loves it and rewards you with more reach which opens the opportunities for engagement, comments and shares, which again, increases organic reach. Then promote it further by investing in some ad spend and retarget your viewing audience. It is such a powerful strategy that doesn’t need to cost a lot of money. Like I said, you can Boost your broadcast starting at a dollar a day. You can invest $10 or $30 a day – it’s up to you – how aggressive you want to be about it. But it’s such a powerful way to connect with your potiential clients. You get into their head so that when they read your words they hear your voice and see your face. It is so powerful to help you stand out, to get noticed and to draw in your ideal clients these days on social media. Successful Facebook™️ Ads need more than just good targeting. If you’ve been doing Facebook Ads you’ve you’ve probably been told you need to niche down and hyper target your ideal target audience. Hopefully, you’ve gone into Audience Insights, and have done some good in depth research for what audiences, interests, behaviours and demographics to use in your targeting. Discovering possibilities you hadn’t previously thought about. There’s a lot of Facebook pages out there, so it’s essential (and profitable) to dig in and do some extensive and ongoing research, so that you can get some really effective targeting going on. However, Facebook Ads require more than just good targeting because, even if you have your audience targeting dialled in, if your ad copy doesn’t resonate with the audience, your ads won’t work. Having the messaging in your copy to speak to your ideal client is such a vital part of well performing ad campaigns. Now, that kind copy in your ads is likely to get your ad disapproved, because you are talking about the person and their problems, not about your program, product, or service. So you need to be a bit more creative in your ad copy, rather than just saying “you” repeatedly, because your ads will get disapproved, and if it continues, then account shutdown is possible. So, another strategy to incorporate is to involve more storytelling in your ad copy. For example, if you have a story or a client testimonial, include that in your Facebook ad campaigns. Include those struggles and those pain points that you or your client has overcome with your services. So that when they read your ad they self identify with the situation and are enlightened about a solution and you as the person to help them solve their problem. Telling stories, by giving case studies and testimonials is a powerful way that you can open up the doors to your ideal clients to resonate with your message and realise that you can help them overcome the same struggle that they’re facing in their life. So don’t underestimate the power of your Ad copy being essential for well performing ad campaigns. Perhaps you have some Facebook Ads running which are getting some lacklustre results, despite you being confident in your audience targeting. Keep trying different ad copy, approach the problem you solve from different angles and test various headlines. And then when you do find a winner, keep testing! So, if your Facebook Ads are not converting as you would like, don’t just throw your hands in the air and say, “Facebook Ads don’t work!” They do work, you’ve got to be persistent. You’ve got to keep testing. Try something new. Your copy can actually be more important than the targeting in your Facebook ads. Therefore, if you have a habit of firing up Ads Manager and winging it with some ad copy, you’re treating Facebook Ads like a slot machine rather than an ATM machine. The most controversial Facebook Campaign of all! Lets talk about the most controversial Facebook campaign of all. Do you think you know what that might be? Starts with an L, ends with an E and has an I and a K in the middle. You got it…Like Campaigns. When it comes to Facebook Marketers, there is a very divisive line for those who are pro Like Campaign, and those who are against Like Campaigns. And the No camp appears to be the most vocal of the two. It seems a majority of Ad experts will advise you not to spend a cent on Like ads and I can understand where they’re coming from. You see, when you run Facebook Ads, you will get people liking your page just when they see your ad. However, unless you have a big daily ad budget, then Likes will will be slow coming. Now here’s a ‘Free Like’ hack… when somebody does “React” on your post with the thumbs up, the heart, the smiley face, etc, you can invite these people to like your page. Just tap on the “Reactions” and you’ll see the names of the people who ‘reacted’ to your post. If they do not already Like your page, you’ll see a little button “Invite”. You simply tap this button and invite them to like your page. Probably about 30% may accept the invite to Like your Page. This is why many Facebook experts would say don’t spend money on Likes. Yes, you will get them by running more goal centered campaigns (eg. Conversions) however, as previously mentioned, you need a big ad budget to get traction with this method, or manually be inviting people who Reacted to your post to Like your page. When you run a Like Campaign, you can target your ideal clients – REAL people. It’s not like paying someone on Fiverr $20 to get 5000 Likes – that’s something you definitely do not want to do! No, real people can see your page and like it and you can have it highly targeted so that it is your ideal client. Many well meaning marketers just refer to Likes as a ‘vanity metric’ but little do they know how powerful it is for you to have people ‘Like’ your page. You see, in the busy Facebook Newsfeed, and all the competition for the limited Ad Space that is available, people who do not Like your page, will only have the potential to see your ads up to 2 times per day. Now, people who DO Like your page, have the potential to see your ads up to 4 times per day. Think about that… if they’ve been to your website and you’re retargeting them, then they can see your ad twice as much as someone who doesn’t Like your Page. If they’ve watched your webinar and you’re wanting to continue the engagement with them, maybe you’ve got a timeframe for them to book a call, you do not want to be forgotten about, so being TWICE as visible in the newsfeed is a very real advantage and makes Page Likes much more than just a vanity metric. Even if they haven’t already started through your customer journey – if they haven’t yet opted in for your Offer or Lead Magnet, you can build an audience via Like Campaigns that you can then retarget with other relevant content, as well as your offer – so you’re not promoting to a completely cold audience. Or, you’ve got a great video, which you can promote to your ideal audiences and then you can retarget the high intent video views (watched 75%) with a Like campaign. Then people like your page, you can start the relationship with them, start getting in front of them more in the newsfeed so they’ll see more videos from you, more content from you that you’re promoting and build that relationship. People are scrolling through hundreds of Posts and Ads in their Newsfeed, so you have to be visible and relevant. If you can get in front of your ideal client 4 times per day instead of 2 times per day, it’s like Speed Dating! You can speed up the relationship with your potential client that helps them to get to know you, like you and trust you and then come on board as one of your ideal clients. So in case you haven’t guessed, I’m very much Pro-Like. If you are a coach or an ‘expertpreneur’ there is actually nothing wrong with having people who like your page who are not your ideal client, because while they may not be your ideal client, chances are they know somebody who is. So when the Like your Page, or engage with your post, their friend (who IS your ideal client) will see that they like your page, which establishes social proof for you. “If Joe likes them they must be alright, I’ll check them out a bit more”…. With the ‘average’ Facebook user having over 200 friends, having someone engage with your Post or Page can have a massive effect on your reach. So for those who say “Likes don’t put money in the bank”, well actually they can. They are not just a vanity metric, it is a very powerful marketing strategy and not everyone on your page does has to be your ideal client though. If you are someone who has a message, if you have some information that can encourage people, don’t you want to encourage people who are more than just those ones that are going to get their credit card and pay you? Life is so much bigger than that. We need to think bigger. Be more generous with our information and with our offers and what we’re putting out there to just spread the joy, spread the love, because it could be your information that could just absolutely change someone else’s day. Are Facebook™️ Ads the silver bullet to sales? Facebook ads take work. If it were easy, everyone would be sitting on a beach somewhere drinking their Mai Tai and living that laptop life. But the cold, hard fact is that Facebook Ads take hard work and not everybody is going to make it. You need persistence, resilience and determination so that when your Ads fail (and they will) you’ll come out fighting again with new copy, new creatives and new audiences to test. So many Coaches, Consultants and “Expertpreneurs” will not succeed in growing their business to 5 or 6 figures per month because they quit too early. That’s a mistake I see all the time. They will launch some Facebook ad campaigns, try a couple of different stock images, try a couple of different audiences, then throw their hands in the air and proclaim “Facebook ads don’t work!” So the give up and and start cold calling, or worse yet, go to Indeed to look for positions vacant. On this podcast episode Scott was sharing results they’ve seen with over 1 billion dollars in ad spend over user accounts. They have accumulated very interesting data about the customer acquisition journey. So you know ads about running cold traffic to a webinar and instant sale…. Well, it does happen – I see it every day, however, it’s not where the majority of sales come in. The time it takes from someone to opt in, to purchase from you is, on average, 43 days. So you can see that if you throw up some Facebook Ads to make a quick buck, you’re just spending your money on Facebook Ads – not INVESTING your money. You need to continue to nurture the relationship with your potential customer in their Facebook Newsfeed (because up to 70% of your email subscribers will never open your emails!) That is your best chances to turn that $3 Lead into a positive earning per lead. So it’s a matter of staying front and center of mind, continuing that relationship with your potential clients and positioning yourself as the authority in your niche that has the solution to their problem. So when they are at that point where they’re ready to make a decision, when they’re saying, “Oh man, I need to get over this now,” you are person that comes to mind. This is where surface level Facebook Ad strategies fail. They do not have a plan to nurture a 43 day customer acquisition journey – or longer. If lucky, they’ll have a seven day retargeting window, maybe 14 or 21 days then they drop out of their Newsfeed never to be seen again… just as your potential customer was getting to trust you. With just a couple of dollars a day you can continue to get in front of your potential clients that have already given you a ‘Yes’ by opting in. Isn’t that a worthwhile investment? Taking them on a journey of acknowledging they have a problem to overcome, the pain that will exist if they do not overcome that problem, what their reality looks like after resolving that problem and establishing your authority that you have the solution to help them achieve it, doesn’t all happen in a day in a majority of cases. Staying front and center of mind to your clients so that, after they’ve got to know you a bit more, after they know who you are, what you’re about, that your values align with their values and that your methods align with their methods so that when they’re in that moment where they have to take action NOW – you’re the person they go to. Facebook ads. Are they a silver bullet? Well, most likely not instantly. Yes, you can run some ads, get people to register for your webinar and make a sale or two straight away. However, you’ve got to commit to the long game. When you do some ads that you think were going to crush it and they don’t, just create some new ads. Look for the bottlenecks and then look to address them, okay? It’s a matter of staying the course, staying front and center of mind with your potential client and while they’re not a silver bullet instantaneously, Facebook ads can produce long term gains. And that’s what you need to be aware of and be prepared to commit to when you set out with Facebook Ads to build your business. Can you actually spend $5 a day on your Facebook ads and get profitable results? Absolutely. You can. But it all depends on the goals and strategies you have for your Campaigns. Campaign Objectives such as Reach, Page Post Engagement, Video View Audience can get great results for $5 per day. These campaigns are great to get brand awareness and build a warm audience which you can then retarget. But, if your objective is getting people to register, opt in or purchase – you’ll want to use a Conversion campaign and this is where a $5 daily ad spend will not likely get you the results you’re hoping to achieve. It does depend on your niche and your offer. While it is possible to get .50 cent opt ins, you will more likely be looking at anywhere between $2.50 and $15 for an opt in – depending on the offer. So you can see if you are spending just $5 on Campaigns which you’re are optimising for Conversions you would expect to get anywhere between 2 Leads per day or 1 Lead every 3 days. If you’ve got a revenue goal of $10,000 and the program that you’re selling is $997 and you’re sending them through a webinar funnel, you’re going need 10 sales (obviously!) Based on typical conversion benchmarks for a Webinar Funnel, you’d be looking at a Facebook Ad spend of $3,343. Which means you need to invest $111 per day into your Facebook Ad Campaigns to achieve these goals. This is showing you that your ads, with all these benchmarks, with it all dialed in, should be profitable. However, if you have a webinar registration landing page that’s converting at only 10%, with a $2 Cost Per Click you can expect to invest $6,687 to generate the same $10,000 in sales. So this is where you can see it’s important to understand the data at every step of your funnel. It makes a massive difference to your bottom line. Now if you have a Webinar to Sales Call Funnel for a High ticket offer and you’re wanting to make $10,000 and your program is $5,000, the ad spend required here would be around $2,286 which is a daily ad spend of $76. So if you were to spend $5 a day, that’s $50 over 10 days, Considering you’re looking at $10 per Webinar Registration – that would be 1 opt in every 2 days. Then each booked call would cost approximately $200 which would take 40 days to get just ONE booked call! Take into account that the Facebook algorithm likes you to get 50 conversions on your ad set per week for your Ad Set to optimise. So again, if you’re spending $5 a day and you get one opt-in every 2 days days at $10 that will only be 3 or 4 opt-ins per week which is not feeding enough data to your pixel or the algorithm to optimize and start helping your ads to perform as best as they can. Investing at least $20 a day to your Ad Set allows you to give audiences a fair test and you can get the data on your pixel much faster which will help you make decisions quicker and get results faster so that you’re not dragging things out over a month wondering why your ads aren’t working. Well, because you’re not investing enough into your ads to get those results and to make the data and make the decisions. You’ll wonder HOW you ever ran Facebook Ads before it! Having trouble cracking the Facebook™️ Ad code for your high ticket funnel? It’s not your fault! If you’re a high ticket coach or consultant, and you’ve built an online sales funnel – hats off to you! You have done what many people will not do. It’s not an easy thing to build a funnel, right? It’s really challenging if that’s not your zone of genius. You’re a coach, you’re a consultant, you have your own zone of expertise, but then you’ve gone and learnt how to build a funnel. You’re obviously dedicated to your passion to build a profitable business and transform lives. But now you’re feeling a bit disillusioned, because that funnel you worked so hard to build… is empty. Your Facebook Ads aren’t converting, which are the crucial element to drive traffic to your fabulous new funnel. But you know what, it’s not your fault. All the programs for High Ticket Coaches to learn how to get their offline message online, are still teaching strategies from 2015 which worked then, but aren’t nearly so effective now – especially when you’re just starting out. Things have changed drastically in the social media space. Those that are still teaching 2015 strategies usually got in at a sweet time in regards to Facebook Ads and Webinars and had great results. Now, they still can get results, especially when they have big ad budgets and lots of data on their pixel. But teaching these surface level strategies to business owners launching new funnels and offers – can be like leading a lamb to the slaughter. It is a much different playing field these days with Facebook ads. You need to embrace different strategies for your Facebook ads, for your high ticket funnel in 2018. You need to move beyond just converting – you need to start nurturing. One solid strategy to help this process is to have a Facebook Groups. This in an excellent way you can get in front of your ideal client, create engagement, create a relationship, build their trust. Then when they are invited to watch your webinar or when they see that invite from you to book a call, they’re looking forward to connecting with your further. Which means, by the time they’ve booked a call, they know what you do, they’ve learned a lot about you. They know that you have the answers to their problem and are ready to invest into working with you. The old show up and throw up strategy – “Here’s my webinar ad to call traffic to, sign up and watch my webinar,” and in 48 hours I’ve got a sale – isn’t nurturing the relationship that social media desires. You need to be more visible in the newsfeed, you need to have more of a presence, you need to establish a relationship with your ideal client. They need to know you first, before they’re going to invest any time or money with you, to solve that problem that they’ve been trying to solve for so long. They don’t want another person that will just come and take their money and not help them achieve results. They want to work with someone they know and trust. That is the difference between Facebook marketing in 2018 as opposed to 2015, when people would just throw in their money out there, for lead gen campaigns and people were signing up, it was great. How do we connect with our ideal client in the Facebook Newsfeed? Well, videos. Videos are so powerful. Using a video as the pinned post in your group allows you to re-target people who have watched that video when you have posted it from your page. The power of video retargeting on Facebook is amazing allowing you to take your potential clients on a journey where you were once unknown to then knowing you as the expert. You see, it’s not always about getting people off Facebook and onto your email list. Nurture the relationship on Facebook. Stay front and center of mind and then ask for that precious email and when you do, you will build a quality list which will be much more likely to open your emails when you do send them out. They will be much more likely to book a call with you when you do send out that offer to schedule a time on your calendar. We need to move beyond just showing up in people’s Newsfeed, like nails on a chalkboard…. Sign up for my latest opt in! Sign up for my latest webinar! Nurture the relationship and then ask for that commitment. Show them that you’re worth connecting with, show them that you can help them overcome their problem. Show them your authentic, real self. “Show up and throw up” ads to cold traffic to webinar to book call, still works. It still does. But when you’re just starting out, it can be really, really hard. You need to invest a lot into your Facebook ads and traffic. Focus on building the relationships, building a tribe and when you do, and you prove your worth to you people, they will be your loyal brand ambassadors. They will be shouting your name from the highest rooftops. To learn more about Facebook Ads for High Ticket Sales, I’d love to invite you to join my Facebook Group. With Facebook recently reaching a milestone of 2 Billion viewers, there is no doubt your potential customers are on Facebook. 12 Million Australians scroll through their newsfeed everyday and spend over an hour a day on the Platform. If you’re not using video as part of your Facebook Marketing strategy, you are missing out on a number of benefits. 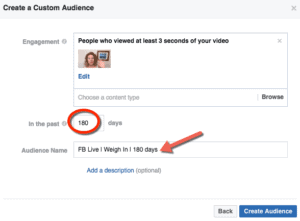 Firstly, Facebook favours video, and it especially loves when people go Live, by notifying people who are interested in your page, when you go Live. You don’t get that kind of free promotion when you do a good ol’ status post! Secondly, and this is a real golden nugget… behind the scenes you are accumulating a list of warm prospects with every video you post from your Business/Fan Page (not Personal Profile). It’s what I call an Invisible Facebook Marketing Funnel. You see, not only are you getting increased FREE reach with your Facebook Live and Video Posts, but Facebook is building an audience of EVERYBODY who views at least 3 seconds of of your videos. WOW! Seriously I could kiss Mark Zuckerberg! There’s a saying for online businesses: “The money’s in the list” – and it’s true. Once you’ve done the hard work and earned the trust of your potential student or client, you can then contact them whenever you wish, to build a relationship that will take them from subscriber to sale. However, it’s getting more difficult to get people to hand out their email address these days. Their inbox is filling up with spam… so they becoming less likely to sign up for every offer in their Newsfeed. But don’t despair, this is where the Invisible Facebook Marketing Funnel works it’s magic. Open up a new browser window (or print this out) and follow the steps below. Once you have your Ads Manager open you want to create an Audience. You will then see a number of different timeframes for people who have viewed your video. At this stage, I would suggest selecting either 3 Seconds or 25% (depending on length of video). The shorter the timeframe the larger your audience will be. Here you can select the videos you would like to build an audience with. Perhaps all videos or just a few that have a message that will compliment your offer. Once you’ve selected your videos you can then chose the time frame for your audience. People who have seen the video anywhere between 1 day and 180 days (maximum). Then give your audience an appropriate name. Click on: Create Audience and then you will see your Custom Audience listed here. It can take up to 30 minutes for your audience to populate. Once your audience is ready, you can then create ads for this ‘warm’ audience. And because it is highly targeted and this audience has had the opportunity to get to know you via your Live Streams and Video Posts, they will be more likely to give you their email address and what is even sweeeeter is, it will likely cost you less to acquire a new lead because, because the audience will be more responsive (they are ‘warm’)! Are you saying ‘Wow!’ right now? This is big and news. Why spend money on Ads to cold audiences ‘hoping’ they will opt in? Put a $5 a day (it could even be $1!) behind a Facebook Live or Video Post that has had good engagement (use the Video View objective) and build your own warm audience which you can then promote your offer to. You wanna kiss Zucks too right? So get cracking with your videos, play around in Ads Manager and build your audiences. You’re ahead of the pack with this info – make the most of it! Well here we are in the last half of 2017 (does that sound melodramatic?!) lol – but it’s true! And we’ll be looking back at 2017 and our list of goals that we determinedly wrote down at the start of the year. So today, I did something I did 4 times a year… and that was to evaluate the last quarter and plan the next quarter. I don’t know about you, but I want to finish 2017 strong. There’s been waaaaay too many years where I’ve looked back and regretted the times where instead of moving forward despite fear, I’d retreated to my comfort zone. It’s time to be comfortable being uncomfortable. I’ve had the honour of helping others get their message to the world, behind my computer as I do their Facebook Marketing and Sales Funnels. I’ve seen the impact their message has had on thousands of grateful people across the globe. My clients have had various backgrounds, but basically, there’s nothing ‘special’ or ‘unique’ about them. But the one thing they have in common is, they decided to be comfortable being uncomfortable. The are now considered ‘Experts’ by their students & followers. But they weren’t an ‘expert’ when they started. What has since made them an expert, is that they turned their own passion for a particular topic into their message to serve others, and has enabled them to grow into an expert. I’m currently reading Russell Brunson’s latest book, “Expert Secrets”. I spend hours each day studying and keeping up to date with the latest Facebook Marketing Strategies. I have mentoring with at least 3 of the top Facebook Marketers in the world – I kid you not. One of them is the guy Facebook goes to when they want to test something. So while I learn and train and take it all in for myself and my clients, I know the times when I really feel on fire is when I am sharing my knowledge with others. Perhaps you can relate to that? However you take for granted all the knowledge you have and think it’s nothing special. You’re no expert, you’ve got nothing to offer. In Russell’s book, there’s 3 lines which really spoke to me, and I hope they speak to you too…. Is it starting to sink in. You have have much to offer. There are people waiting to hear from you. You are their teacher and they are waiting for you to turn up. Can I encourage you to take some time today, to look at what you want to achieve in 2017 and beyond, and make a start. You may not feel like an expert. In fact you may even feel like an imposter, but just get comfortable being uncomfortable and as each day goes on, you will grow and so will your confidence. However I dare say, if you continue this path, there will barely be a day you do feel comfortable as you continue to grow and fulfill your goals and desires. What is it that you are wanting to achieve in 2017? Step out from the shadow of doubt.